Dr Jengo's World: Assassin's Creed 3 PC Give-away with SGamers.org! 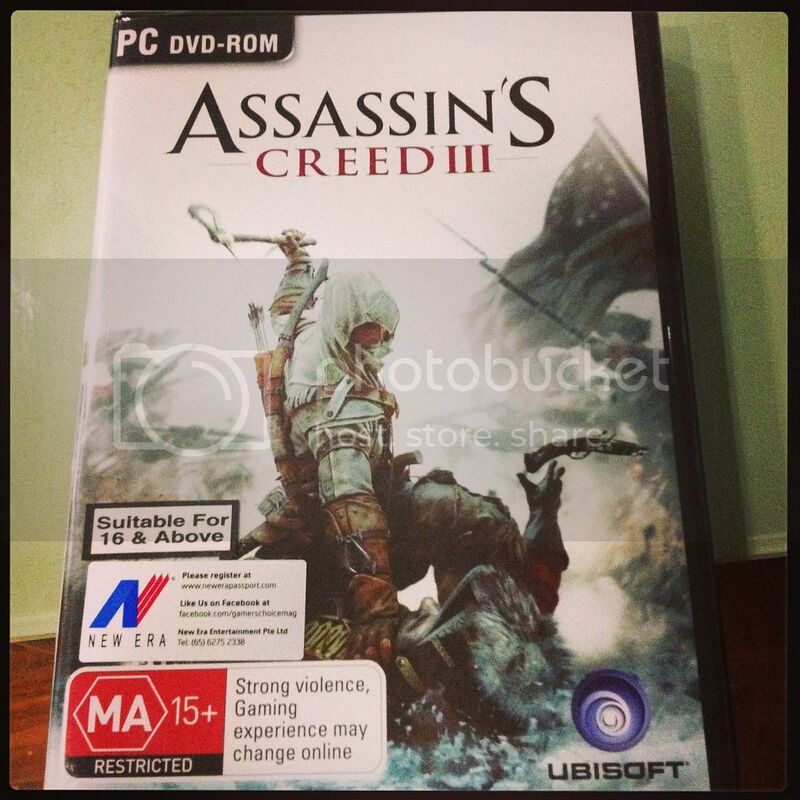 I have a spare, sealed PC Copy of Assassin's Creed 3 to give away! I will be doing this give-away together with SGamers.org. SGamers is a new Singapore gaming forum which started sometime, late last year. The community is still small but growing. Do join us as we talk about gaming news, games, trophy-hunting, chit-chat about everything under the sun. We also have a special "I want to Rant!" thread for you to let off some steam! 1) You got to be SGamers.org forum member - If you haven't joined yet, just register with them. I will need your forum IDs to let you participate in this give-away! 2) Answer the Question - Nothing too difficult, just some general knowledge on the game. 3) You must be living in Singapore - Sorry everyone else! 4) Submit your entry by 27th May 2013, 11.59am - Three weeks! Plenty of time! Edit: Give-away has been officially closed! Winner has been announced! Head over to SGamers to find out who won! 1. Register at SGamers Forums if you haven't already done so. 2. PM me the answer this Question: "Who is the Assassin that you will be playing as in Assassin's Creed 3?" at the forum, my ID is Dr_Jengo. 4. You must be living in Singapore as I will be mailing the game to the winner. 5. Closing date for this Give-away is 27th May 2013, 11.59am. All entries must be submitted by then.